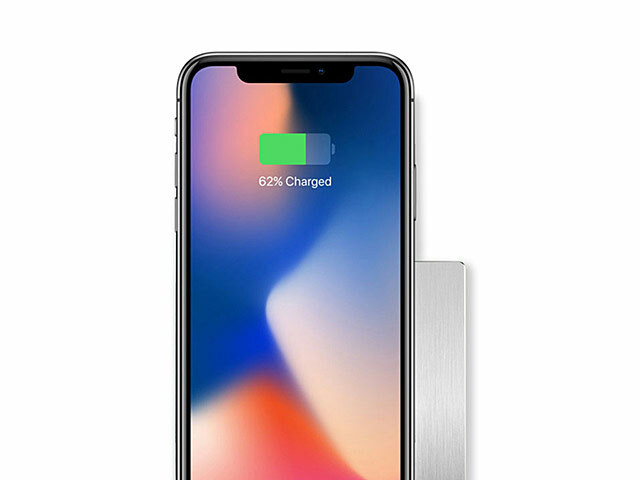 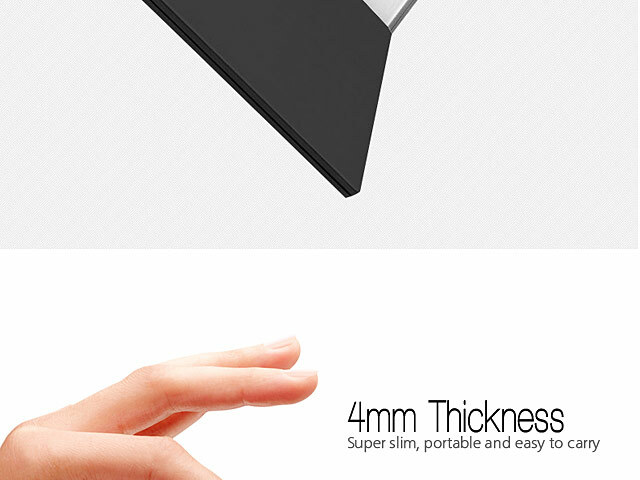 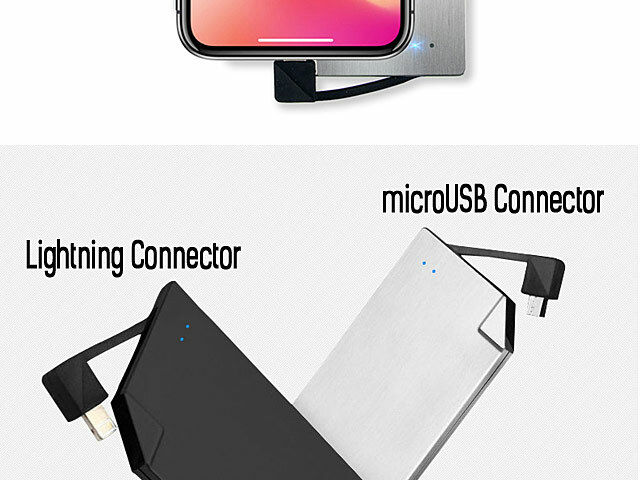 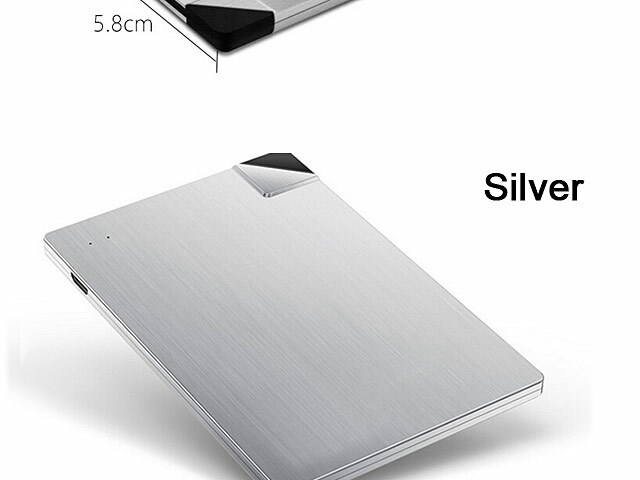 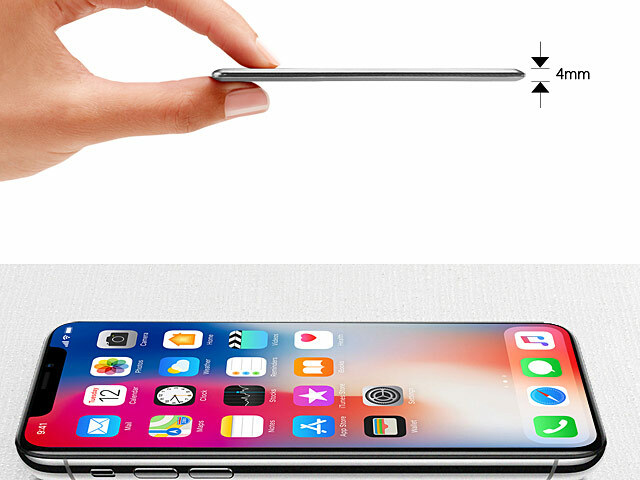 4mm Super Slim Portable Power Bank is an ultra-slim external power bank that extends your mobile devices (iPhone, Samsung, HTC, LG, Huawei mobile devices, microUSB, Lightning and Type-C USB devices) usage time. 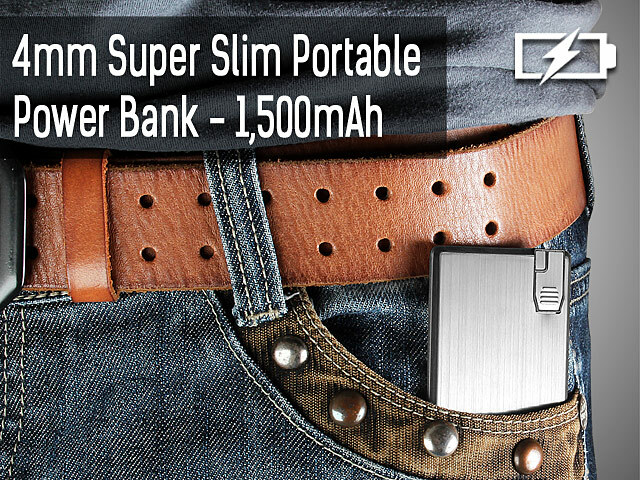 Built-in 1,500mAh lithium-ion. 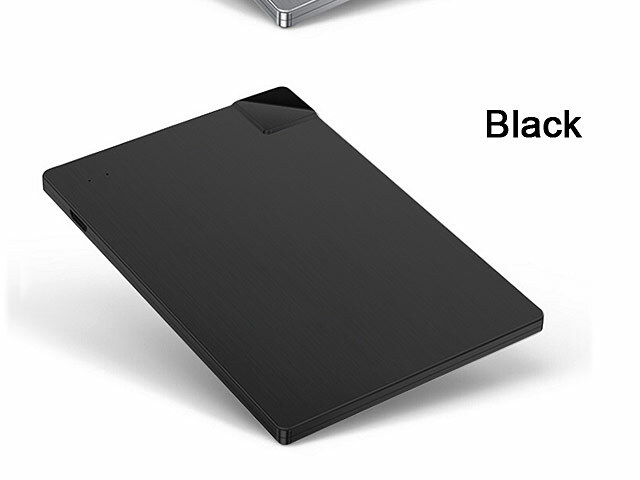 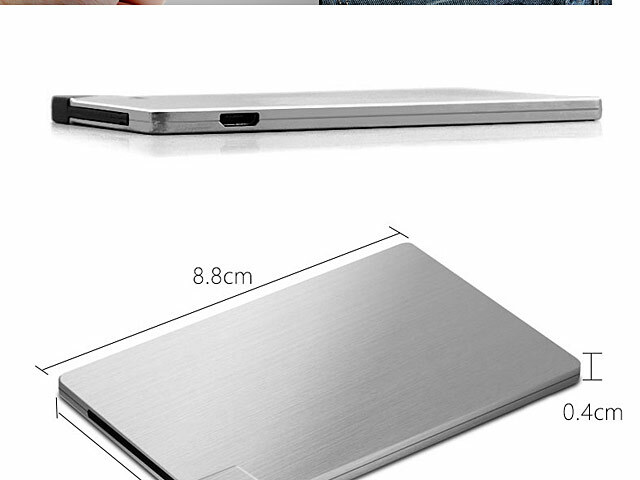 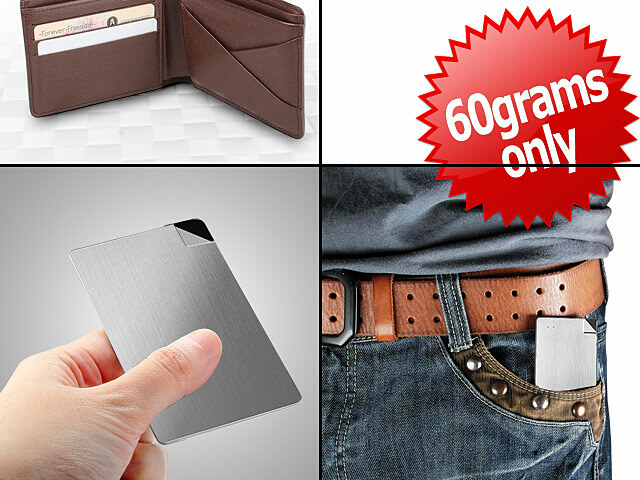 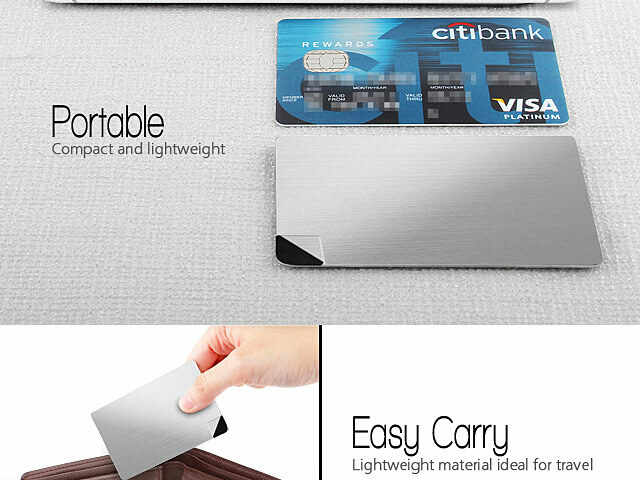 This Super Slim Portable Battery weighs only 60 grams and has dimensions of 88mm x 58mm x 4mm, just like a business card. 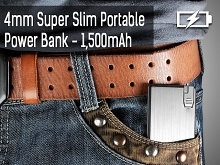 Easy to Carry!